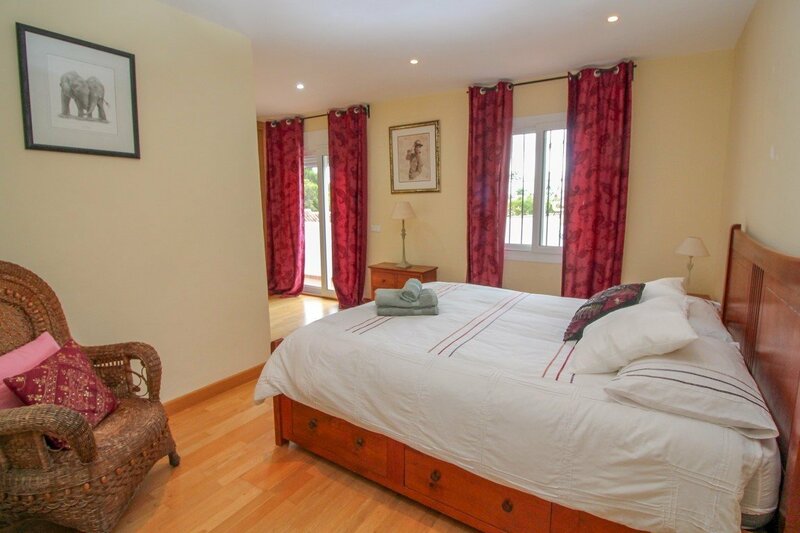 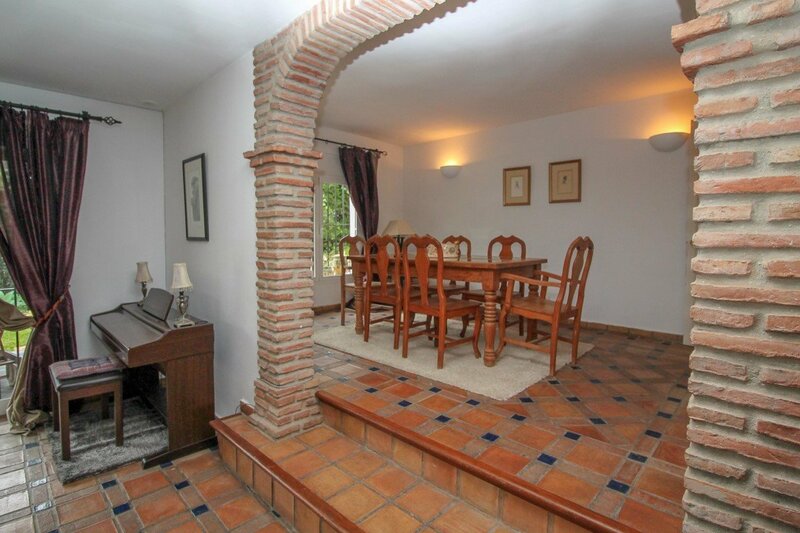 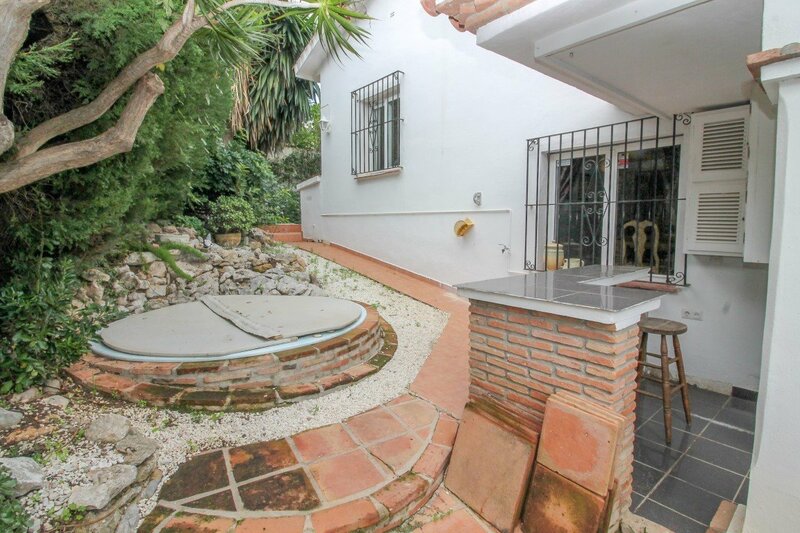 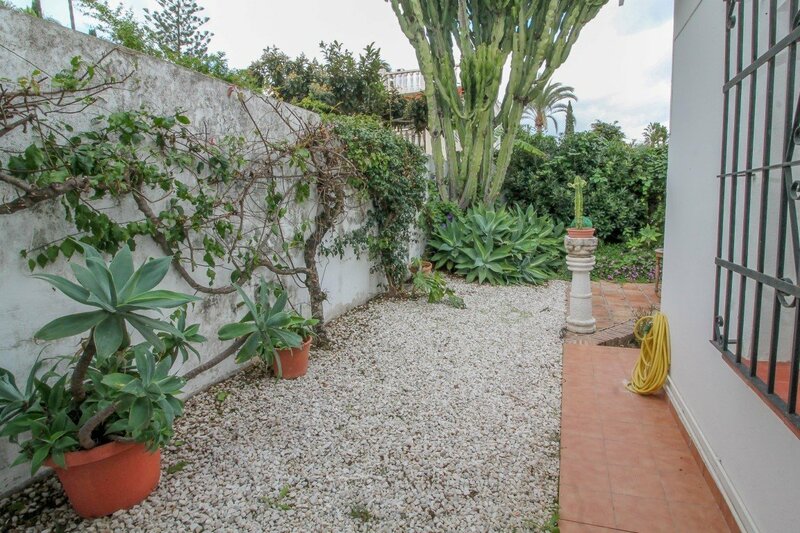 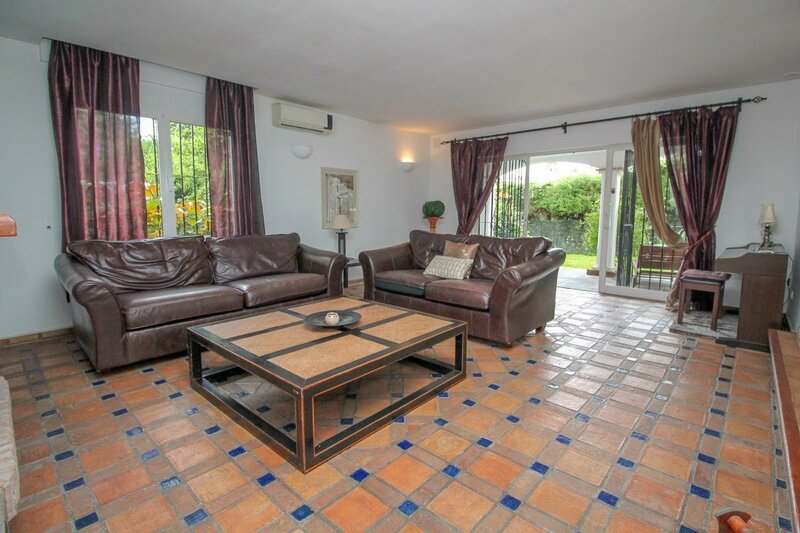 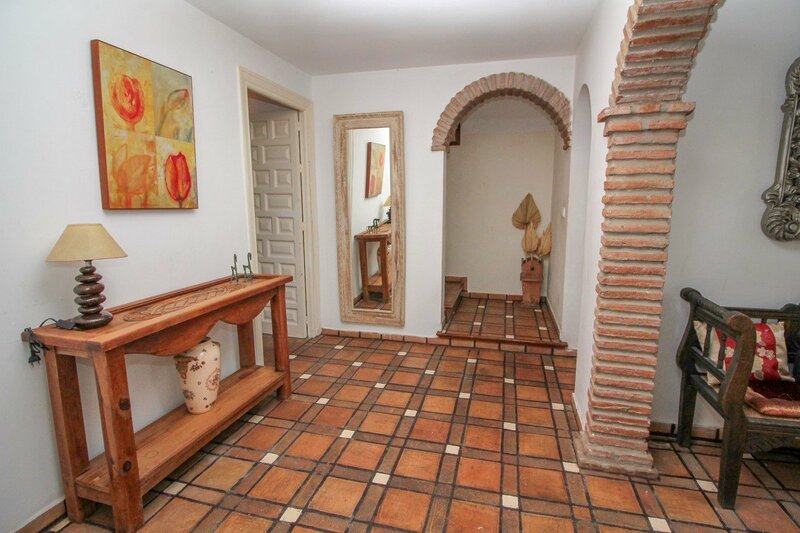 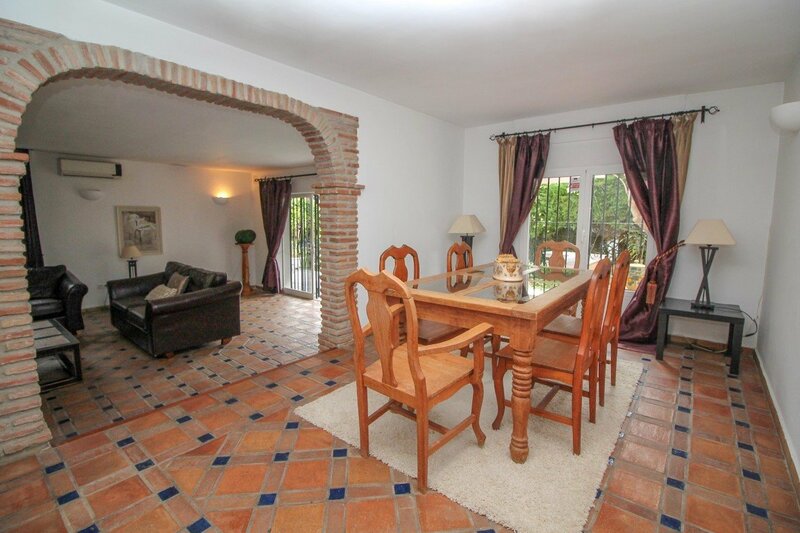 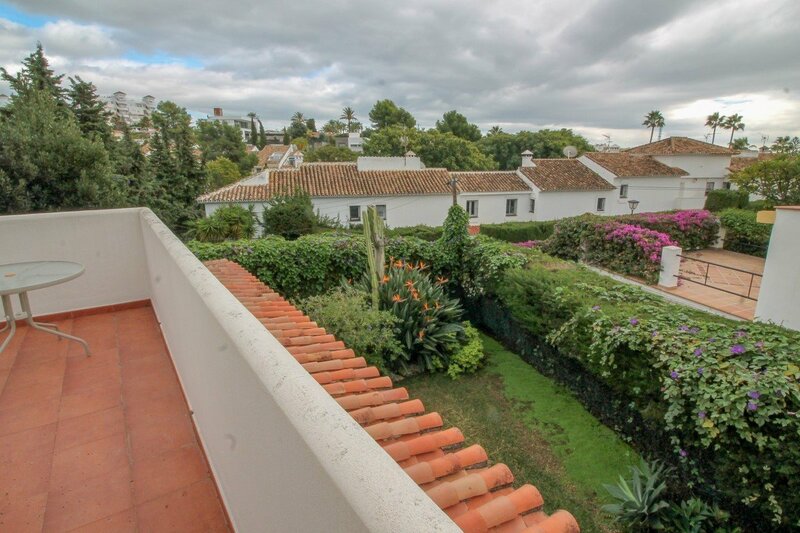 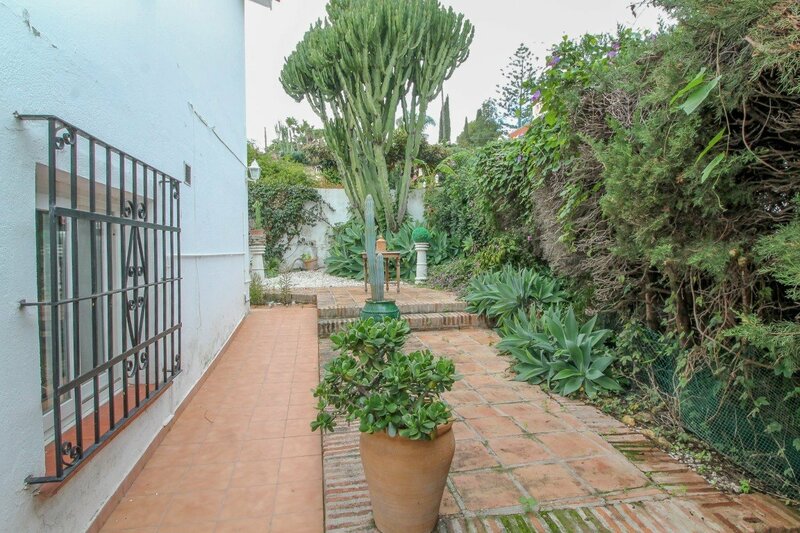 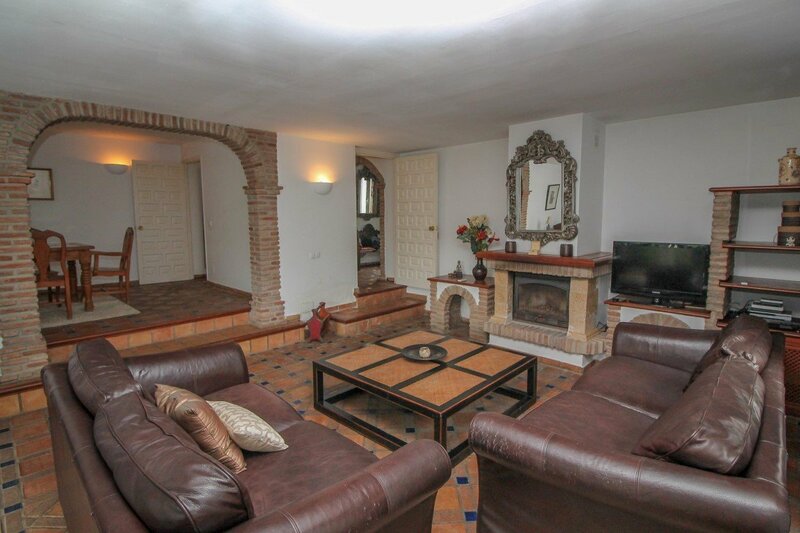 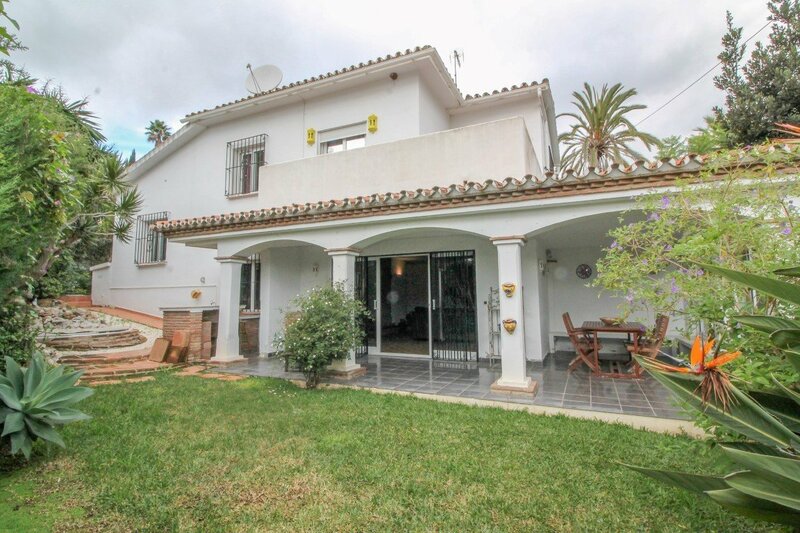 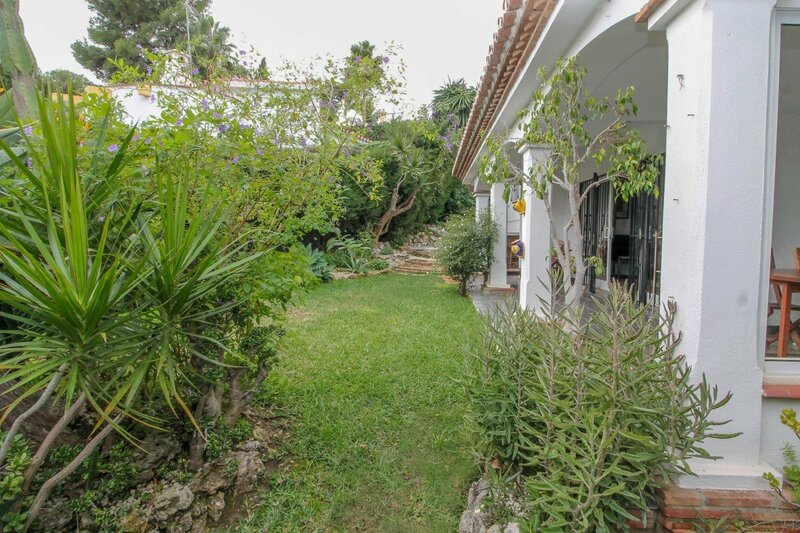 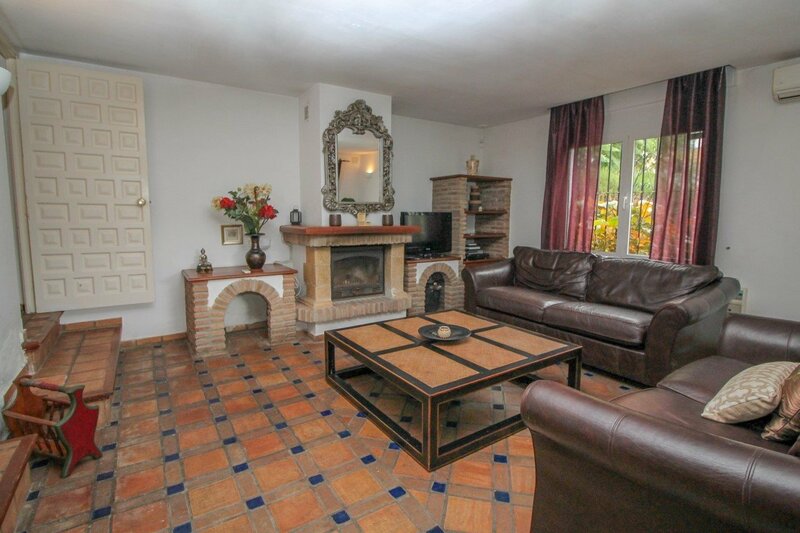 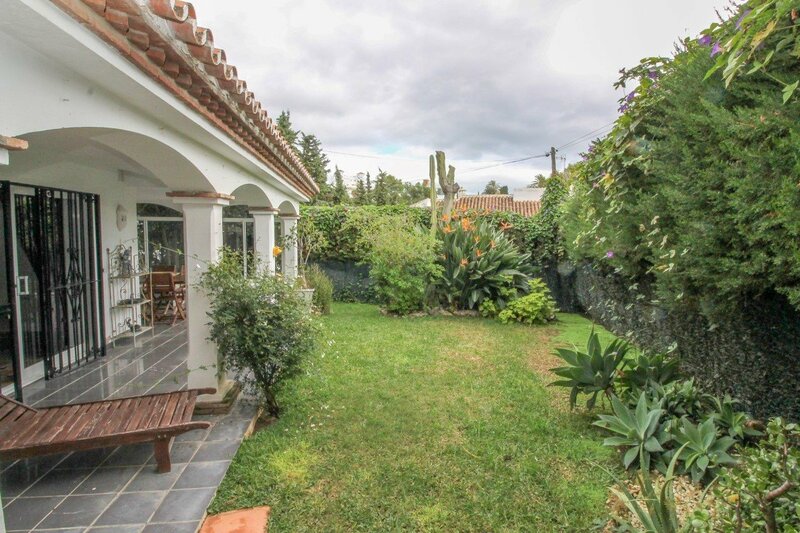 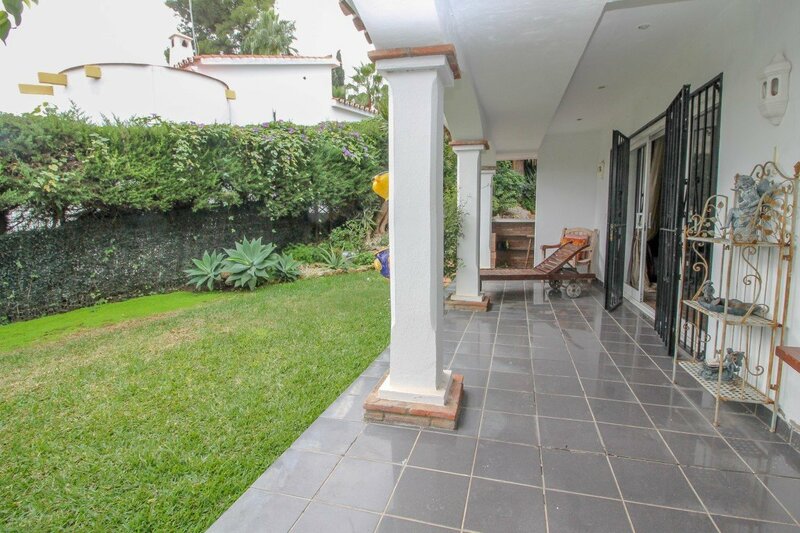 Detached 4 bedroom 3 bathroom villa in Nueva Andalucia close to centro Plaza and Puerto Banus. 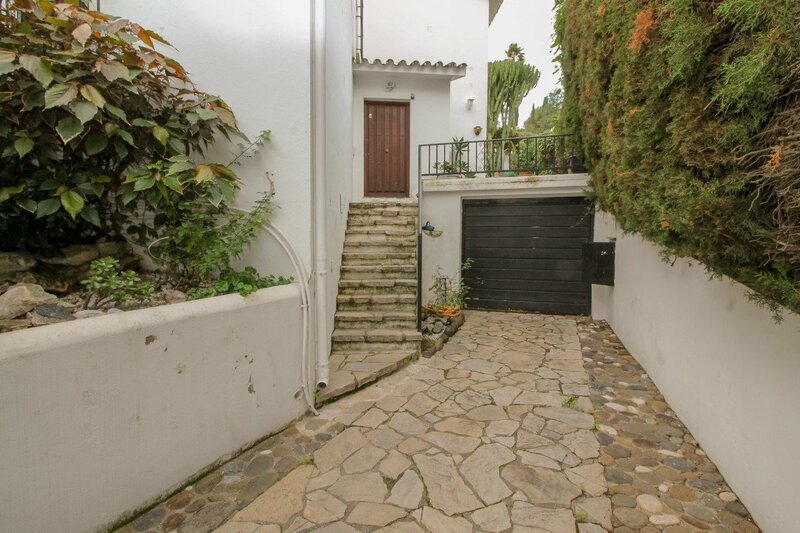 The property is accessed from a private driveway. 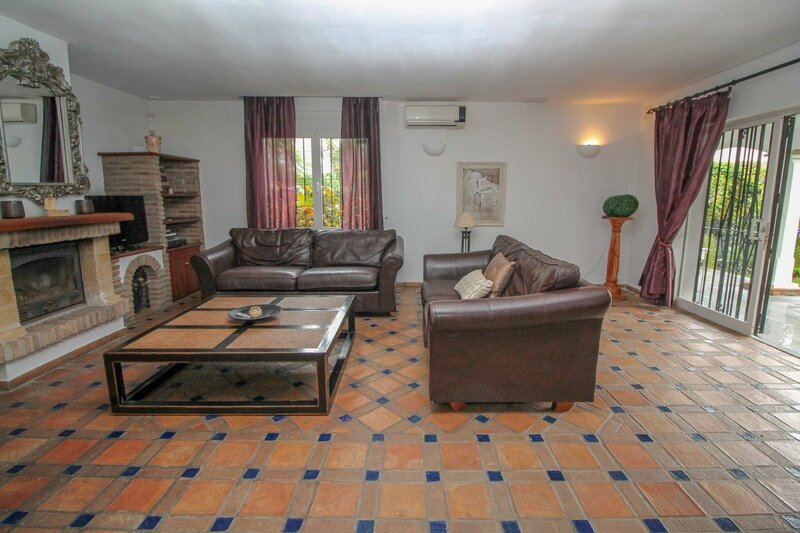 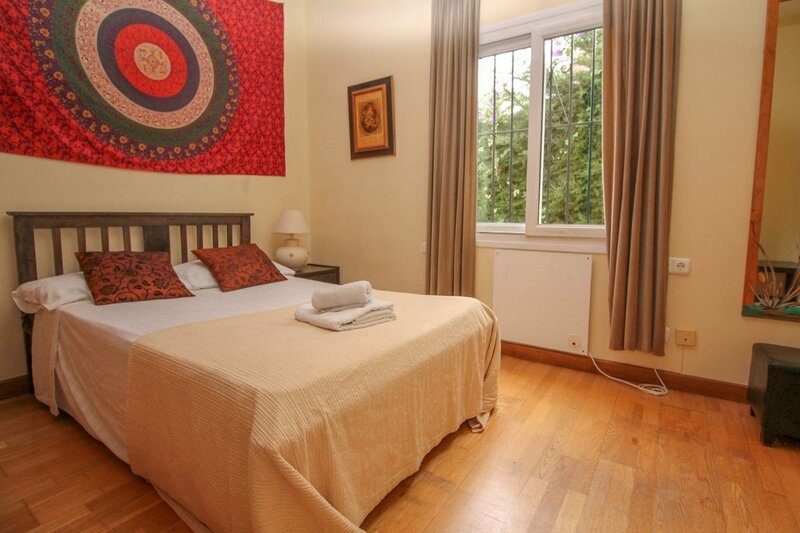 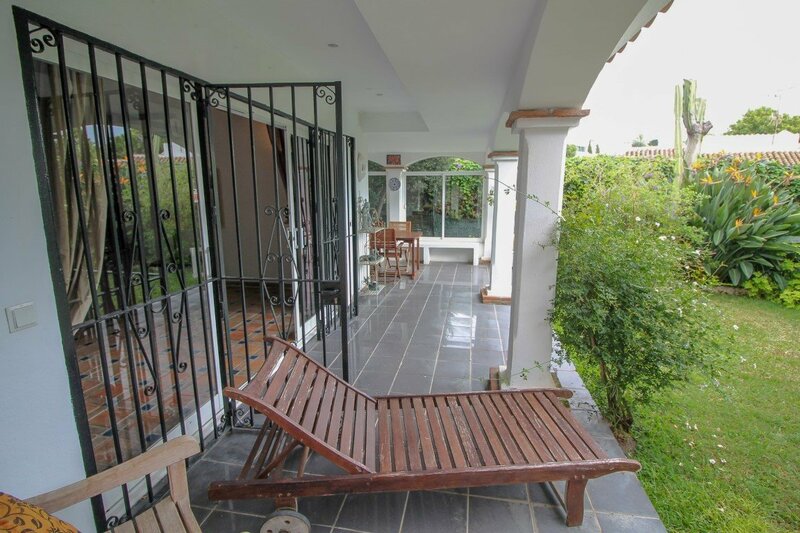 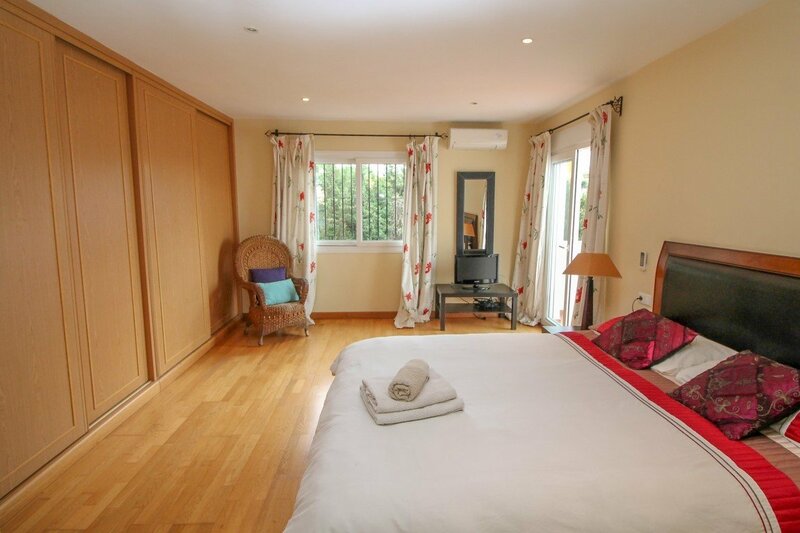 On entering the property there is a large entrance hall, spacious lounge area with feature fireplace and patio doors leading to sunny terrace and gardens. 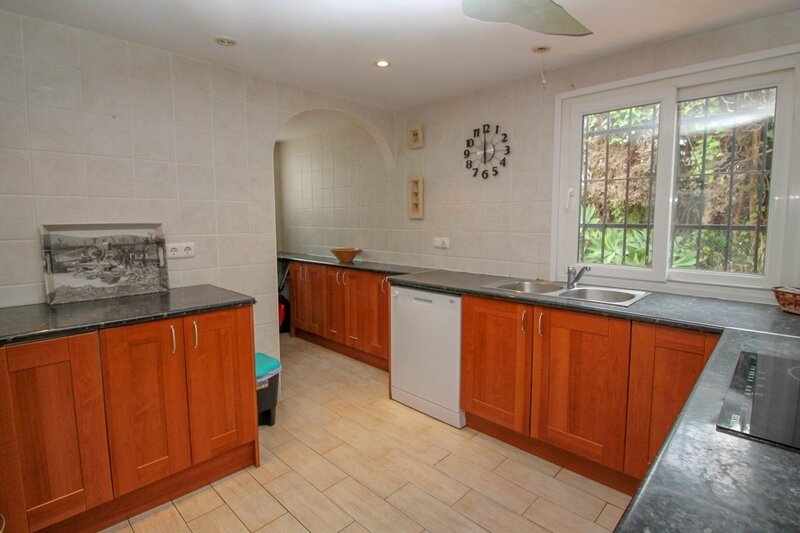 On the ground level there is also a separate dining room and fully fitted L shaped kitchen. 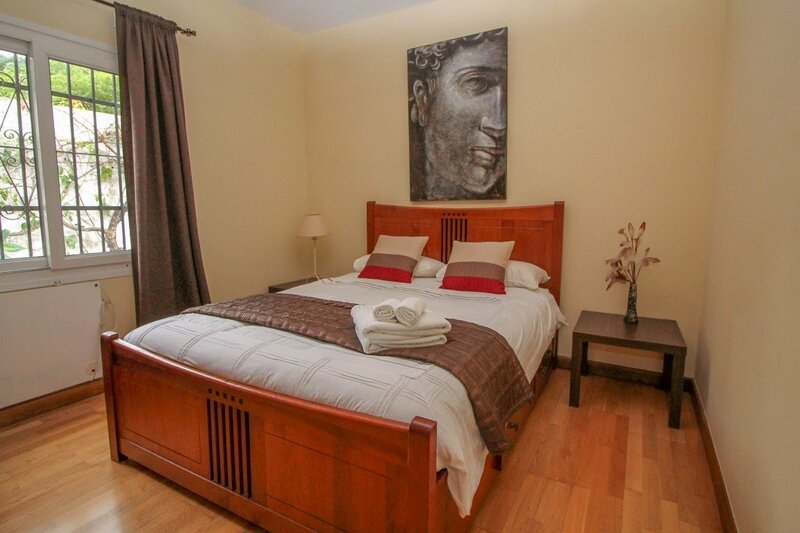 Stairs to the first floor lead to 2 double bedrooms both with wood flooring and a shared bathroom. 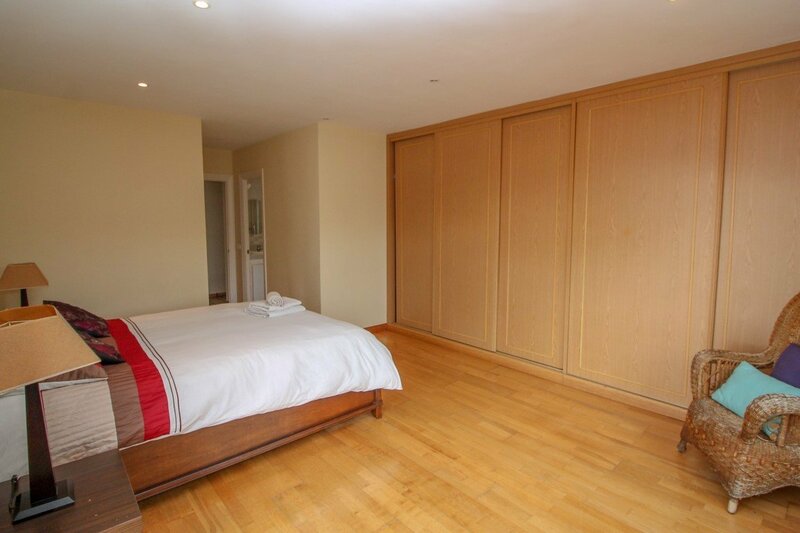 The next level consist of two huge master suites, both with wood flooring, fully fitted wardrobes and patio doors to upper terrace. 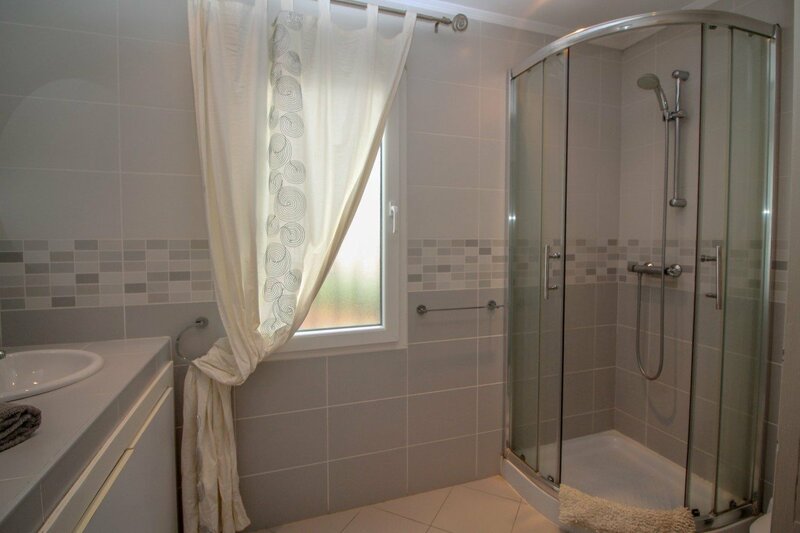 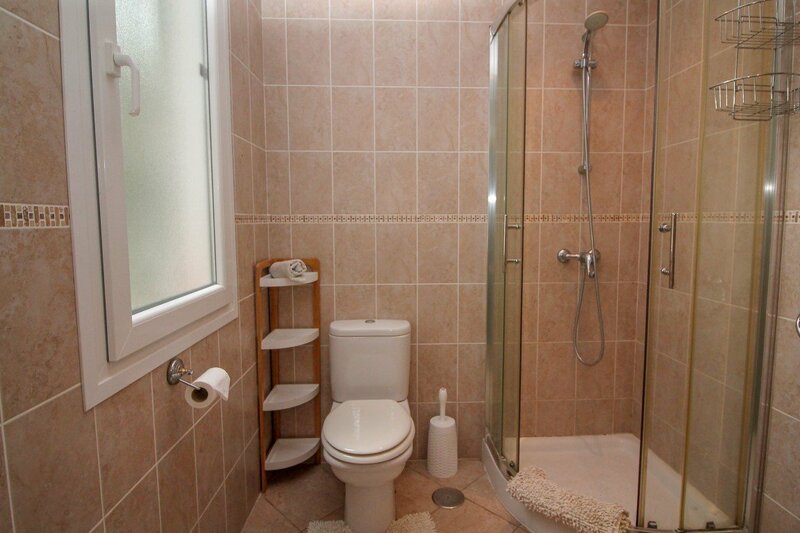 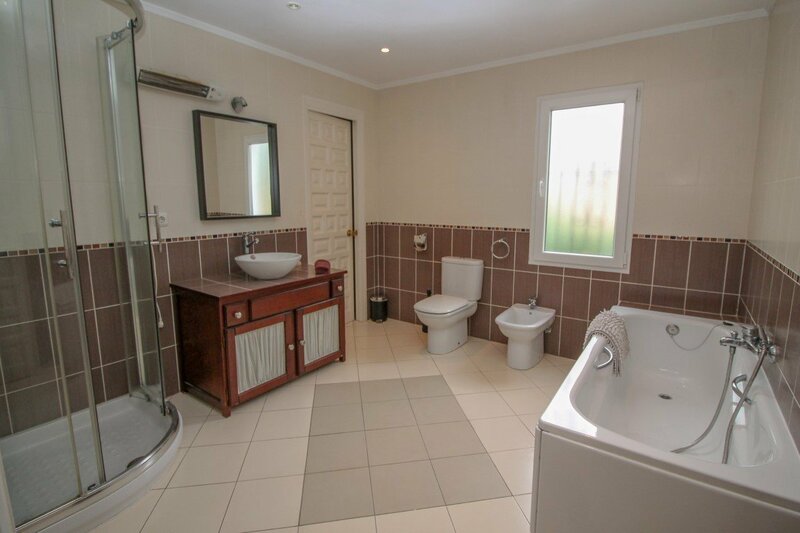 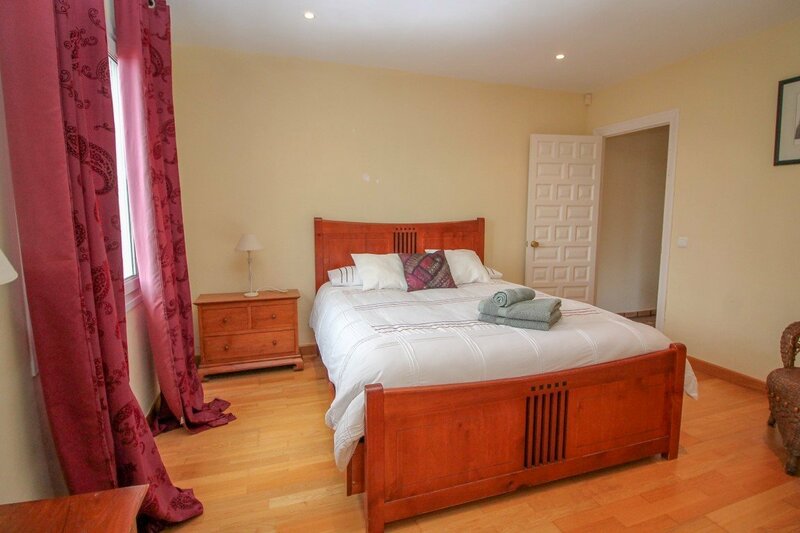 One suite has a en-suite bathroom and the others separate bathroom is very large. 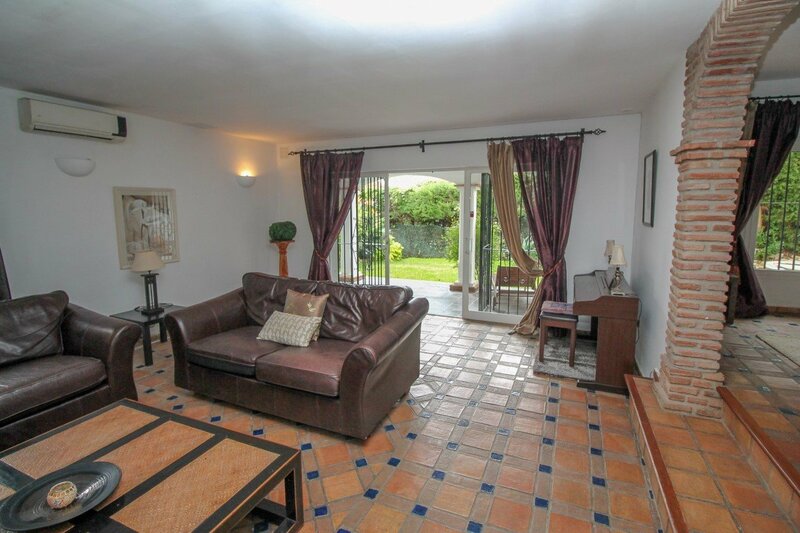 There is double glazing throughout and air coinditioning. 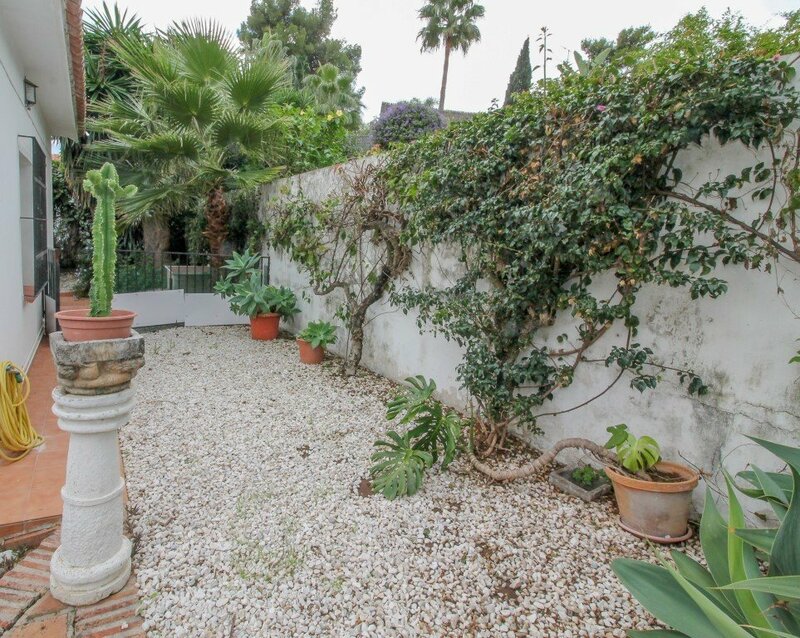 The mostly lawned gardens wrap around the entire plot and include a jacuzzi and both open and covered terraces for sun lounging or outdoor dining. 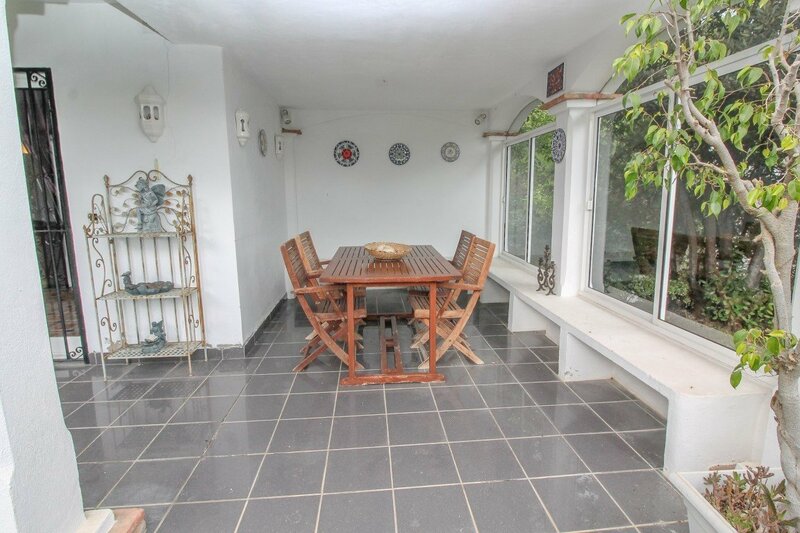 There is also a bbq area and garage for one vehicles plus parking for a further two vehicles.